Traditional Asian medicine has evolved a range of approaches to suit different individuals and their problems. 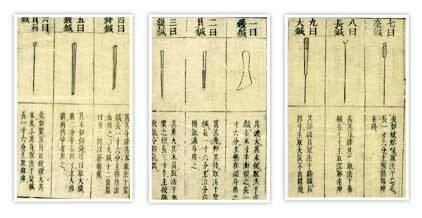 Chapter 1 of the Huang Di Neijing Ling Shu, possibly the earliest acupuncture text, introduces the 9 needles – the basic toolkit of the acupuncturist of the day. Approximately half of the needles were designed for insertion, the remaining needles having flat edges for scraping or round ends for pressing and massaging. Modern equivalents are used for treating sensitive patients who do not easily tolerate invasive needling, and for younger children. The use of round ended needles to massage the meridians forms the basis of treating children in Shonishin (literally infant’s needle) the Japanese adaptation of acupuncture for children. Principally this refers to simple non invasive techniques such as very light rubbing and tapping along the channels and at points to promote the flow of Qi and blood. Children’s treatments are also characterised by their short duration as well as minimal stimulation. Children are seen as having very yang or volatile energy in Asian medicine, as such they are very sensitive to external stimulus and can easily be upset by too much treatment. It’s often said in traditional Asian medicine that treatment requires the harmonisation of Qi and blood. Needles are used to harmonise Qi, and though Qi is said to be the motive force for blood, sometimes blood needs to be moved directly. Blood stasis in traditional medicine is a common condition that can arise from simple tightness of the muscles following exercise, poor posture, stress etc and will manifest locally as tight muscles, bruising broken veins. Or it can come about from longer term chronic conditions and manifest anywhere in the body though typically seen at specific points and regions that relate to the problem area via the channel system. Treating blood stasis directly on the surface we can choose such techniques as massage, either oil massage or a dry style such as Chinese Tuina or Anma.The treatment can be quite strong as aim is not relaxation but to break down tight areas in the muscles and channels. Other techniques include cupping. Cupping involves creating a partial vacuum in a jar place over the skin. As the flesh is sucked into the cup the blood is drawn to the surface until the cup is released and moves back into the body. It is an effective way of directly affecting the circulation in the area, softening stiff areas and breaking down blood stasis. It can also be used to induce sweating to treat the early stages of a cold. 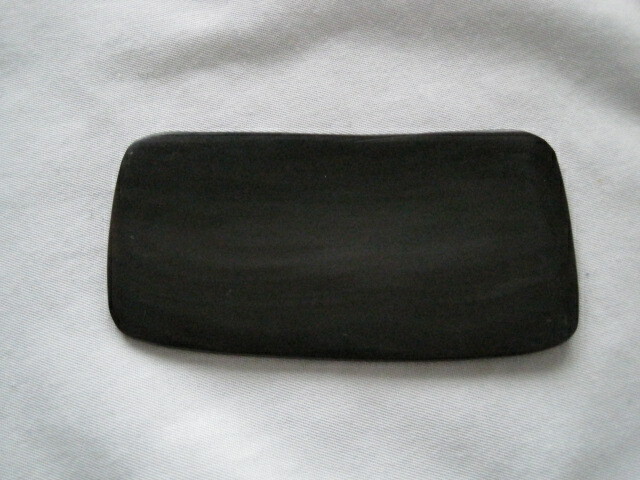 Following the same logic Gua Sha takes the idea of a flat ended scraping needle as its starting point and expands it to a larger flat (and rounded ) edged tool, much like the back of a comb. After applying a little oil the tool is rubbed along the area in fast repeated strokes, this draws blood to the surface breaking down any stasis. As in cupping the surface of the skin will remain red for a while after the treatment (in some cases up to 2 or 3 days).